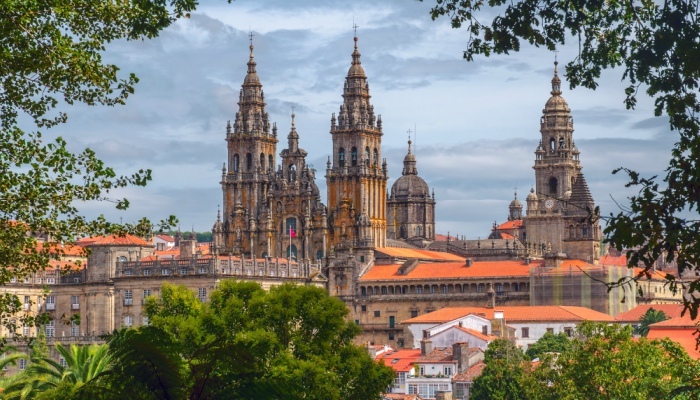 There are many variations of Spain’s famous Camino (commonly known as The Way), but all share the same destination of Santiago de Compostela in Western Galicia – or rather, the impressive cathedral right in the heart of it, where the relics of St. James are to be found. The most well-known route is the Camino Frances (or French Way), starting in Saint-Jean-Pied-de-Port on the French side of the Pyrenees around 800 kilometres out of Santiago. Not too long ago, I walked the last 100 kilometres of The Way on Peregrine’s self-guided Camino tour, starting from the town of Sarria. This is the minimum distance you can walk to receive a certificate recognising your pilgrimage. Of course, you might ask why I didn’t walk the entire length of the trail. There were a few reasons. As much as I would have liked to, I did not have six weeks’ to spare at the time. In addition, even though I was a keen hiker I’d never walked that kind of distance in one go before, so 100 kilometres sounded more realistic. Finally, I wanted to spend some quality time with a very close friend of mine who lived on the other side of the globe. 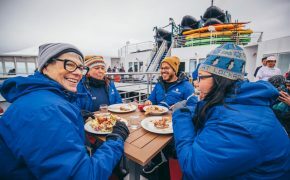 We had a lot to catch up on, so an organised – yet self-guided – trip that had us walking for most of the day and resting our legs in comfortable, stylish accommodation by night sounded like the perfect fit for our purpose. After having made our own way to Sarria by train from Madrid, we checked into our 3-star hotel, picked up our credencial (pilgrim passport) and ended the day with a glass of wine and some Spanish tapas by the riverbank, celebrating the days to come. Although The Way is marked with the symbol of a yellow scallop shell, we were also provided with detailed maps and instructions. A pilgrim passport must be stamped at least once a day in certain locations if you want to receive your certificate in Santiago. It therefore doesn’t only serve as a certificate of your achievements, but also as a beautiful travel memento. You will likely meet a lot of interesting people on the trail, hearing the many stories they have to tell (and telling your own of course). 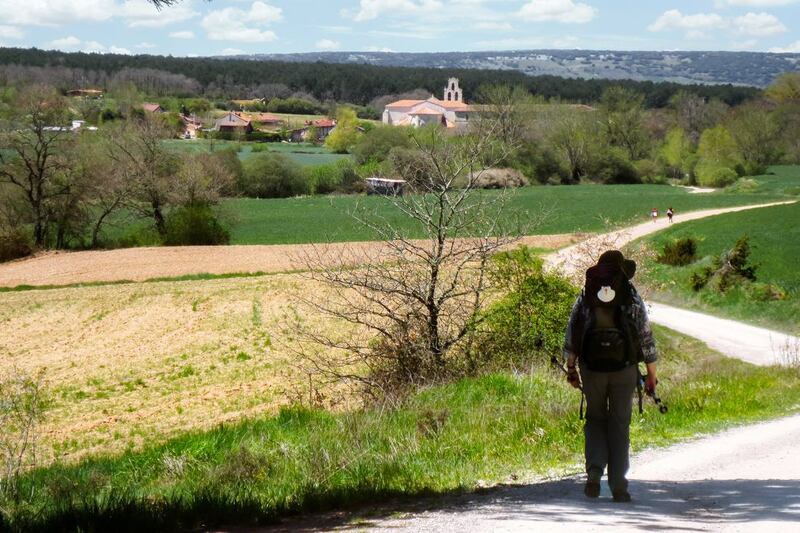 Or you can simply walk in solitude, soaking in the changing landscape and letting the Camino do its work. 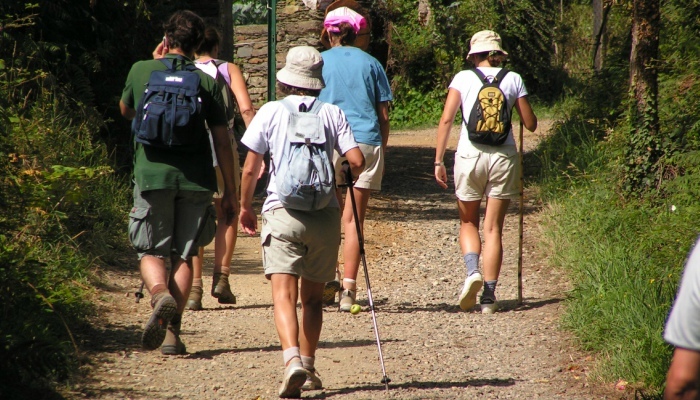 Often, pilgrims walk together for a while and then fare each other well to continue solo. No one takes offense, as everybody has their own agenda to work through. My friend and I had so much to talk about, so we often walked alone, although we did meet some great characters along the way. 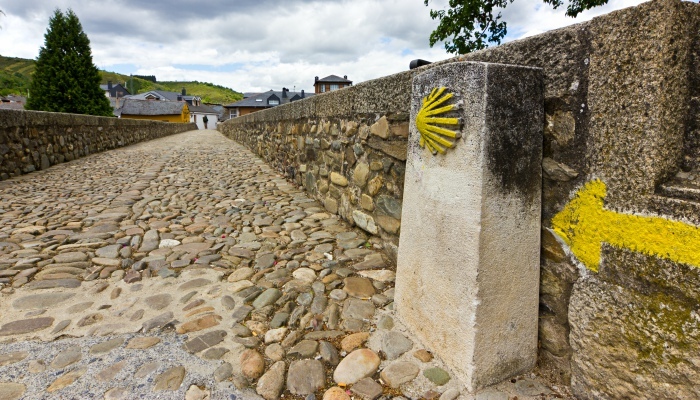 If you have read any stories or watched any movies about the Camino, you may know that accommodation can be hot property, especially during busy periods and along the more popular parts of the walk. 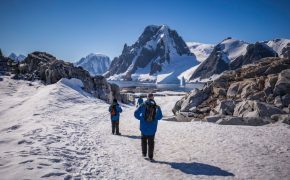 Pilgrims who go the entire way sleep in albergues – cheap, basic hostels with limited bunks operating on a first-come-first-serve basis – so keen pilgrims often start their daily leg at the crack of dawn. We did not want to rush our eight-day holiday, so we chose to pilgrim the comfortable way. We stayed in some wonderfully unique accommodation, ranging from old country mansions to comfortable town hotels. A taxi would pick up our main luggage each morning so it would be waiting for us at our next destination. Breakfast was included, and we often ate in lovely settings; in the garden among ponds and flowers, or on the terrace overlooking the surrounding fields. The heat would settle in during the early afternoon. As much as we walked through forests and along shaded trails, there were also vast stretches of fields and hills with no shade. 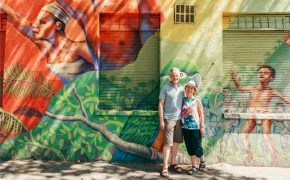 On our longer walking days, we took extended lunch breaks, snoozing in hammocks, on forest floors or in the leafy courtyards of local restaurants. For food lovers, walking the Camino is also a culinary journey through Galicia in northern Spain. Most restaurants offer the Menu del Peregrino for lunch and dinner, which typically consists of a salad or soup, a local speciality such as hearty stew, and a tart for dessert. Meals would always be served with bread and wine. I had more choice as a meat-eater, however my vegetarian friend never failed to find something that suited her tastebuds. For a quick and easy snack, many bars along the way would serve bocadillos (bread rolls) with cheese, ham or Spanish tortillas. Dinnertime, though amended to suit non-Spanish, hungry and tired pilgrims, was usually later than most northern European or Australian stomachs would be used to. 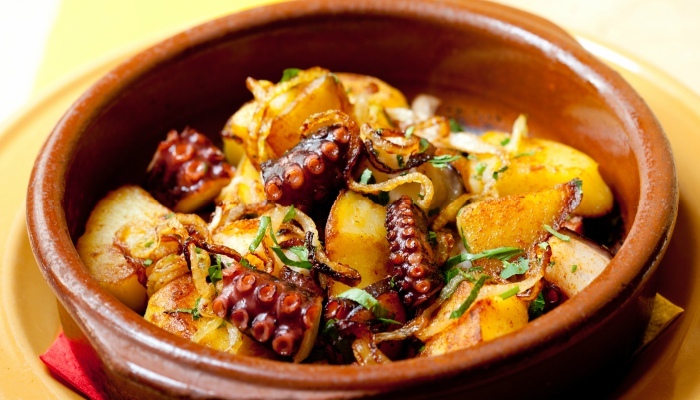 This is where tapas came in handy – especially in bigger towns where you could enjoy some octopus with a glass of wine as a reward for a day spent on your feet. Throughout the journey, we visited churches and walked through changing landscapes, offering us a good insight into this beautiful part of Spain. 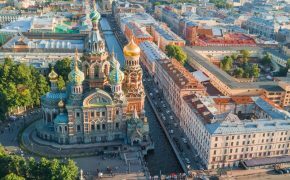 The moment you reach the cathedral – surrounded by many other pilgrims – you feel a pure sense of joy and achievement, no matter how many kilometres you’ve walked. Most people will end with a service at the cathedral, during which you have the chance to reflect over your journey and what it means to you. Every pilgrim has their own reasons to walk any part of The Way. Whatever they may be, you can be certain you’ll get the opportunity to slow down, live in the moment, soak in your surroundings, enjoy lots of thinking time, and meet fascinating new people. One day, I will walk the entire trail to fully understand what it means to follow this ancient road – while also taking an inner journey into yourself. 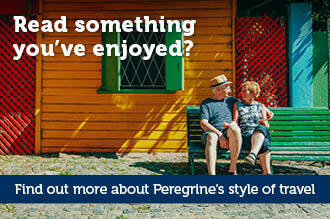 Completing this stretch in style and comfort with Peregrine was the ideal appetiser. 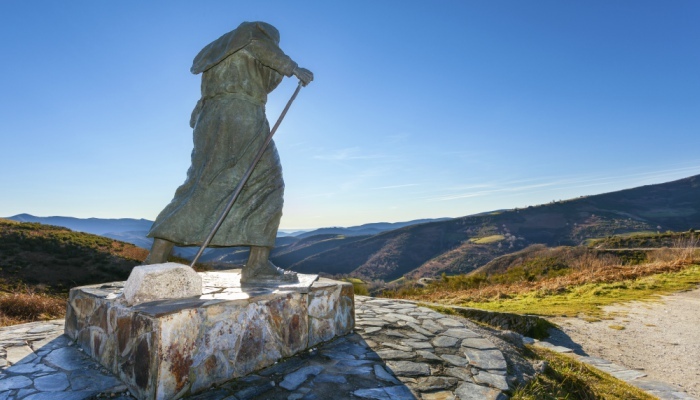 Enjoy freedom and independence on Peregrine’s 8-day self-guided Camino tour – without having to organise any of the nitty-gritty details. 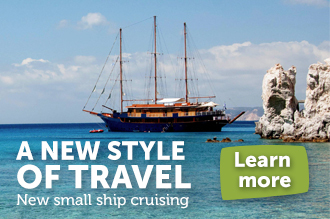 Or check out our other premium adventures in Spain here.